< Innocence of a Child.. Thanks a lot Mikalee 🙂 Welcome to our blog! Thanks a lot Pamanner 🙂 Thanks for dropping by 🙂 keep visiting ! Thanks Valentinedee! Just had a glimpse of your work.. Great stuff! Will catch up on it soon! Beautiful! Reminds me of something out of Exit Through the Gift Shop! Thanks Madame Hombard 🙂 Glad you liked it so much. Keep visiting! nice post – great work! Thanks Ami Arting! Will soon visit your blog too! Welcome to our blog! The Heading picture is a great piece of art. Great balance of color and space. Thanks a lot John. Keep visiting! Thanks Java Girl 🙂 The joy of geting freshly pressed doubles when lovely people like you comment and like our work. Keep visiting! Is this Tingatinga (Tanzanian streaat art)? India has amazing artistic color concepts. so beautiful! Keep visiting our blog to see more awesome pics! Thanks a lot! Welcome to our blog! Thanks a lot Carlie 🙂 Welcome to our photoblog! The colors are so beautiful! Wish we could see the completed work too! Congrats on being Freshly Pressed! Thanks Sarah 🙂 I do have the pic of the completed work.. will put that up soon! Keep visiting! Thats awesome Kiara 🙂 You have a very interesting blog! Will visit soon! Can’t wait for summer. I’d love to try my hand at street art. Great colors. The coconut bowl is fantastic. This reminds me of the street artists on Venice beach. Thanks a lot 🙂 This is an Indian art. Would love to go and capture street artists on Venice beach soon! That’s awesome :D! You rock, keep on going :D!!! Nice colors, maybe a wider frame .. but work’s like this also . The photo itself is a work of art! I just keep staring at it. Good stuff! Thanks Ryan 🙂 Welcome to our blog ! i love these types of photos, work in progress! Truly stunning depth in such a simple photo! Great job! Thanks for liking our work! Do share your photoblog link-would love to follow your work too! Keep visiting! Colorful ! I also like to paint. I have a posting that contains my drawing. Here is the link http://priajelita.wordpress.com/2011/08/28/hobby-lamaku/ Please check it if you have time. Thank you. Hey Lulu, Thanks 🙂 you have some lovely ladies painted !! Will check out your blog in detail soon! Keep visiting! Is that batiks on the left? Thanks a lot 🙂 Welcome to our blog! I saw some fish there. Thanks 🙂 Keep visiting our blog! Love the comment 🙂 thanks for dropping by. keep visiting! Thanks 🙂 Welcome to our blog! Thanks Ristinw 🙂 Keep visting! Thanks for reblogging Chubbybarbiedoll 🙂 Keep visiting! Thanks Randissilas 🙂 Keep Visting our blog and giving feedback ! lovely…inspiring me to have fun with pain with my 4yr old daughter! gorgeous! Ohh thats an adorable idea.. you should do that for sure! Thanks for dropping by! Keep visiting! awesome!!! painting out of coconuts sounds like a dreeeaaammmmm. 🙂 🙂 Yeah thats true! Thanks for visiting our blog and liking our work! Much appreciated! Keep visiting ! thanks ! May be you should add photography section to your site and include noisypilgrims 🙂 keep visiting! People, I need an advise – who knows about hahaped? Beautiful picture. Love the colors, and it definitely makes me curious about the result. Thanks 🙂 Keep visiting, you will see the pic of the end result up on noisypilgrims soon! That is great to hear! I will definitely keep checking back! Thanks Nairobi girl 🙂 Welcome to our blog! Thanks Androxyde 🙂 Keep coming to Noisypilgrims for more! Wowee! Love that photo. Is that a coconut holding the yellow paint?! Healingpilgrim am sure you are related to noisypilgrims 😀 Yes those are coconuts holding the paint. Thanks for liking my pic.You have an amazing blog as well. Will go through it in detail soon! Keep visiting! Thanks Azhar . Noisypilgrims is glad to have you on board! the colors work together to produce this photo. great work! Thanks a lot 🙂 You have a great blog on fashion. Will visit soon! Keep visiting! It looks soo colorfun, color explosion. thanks 🙂 Your blog is awesome too! Will go through it in detail soon! Keep visiting! Thanks a lot Kristien 🙂 Keep visiting more more pics! Love the colours, so vibrant. You’ve brightened up my day! What gorgeous colours. Thanks for sharing. thanks! Pleasure to have you on our blog! will surely do that! Keep visiting! thanks a lot Shyam 🙂 keep visiting! Reblogged this on pani's blog. wow. I can’t wait for spring/summer to come. these colors make me miss the warm seasons – europe is currently covered with snow! Hi gonarez..You should plan a trip to India 🙂 thanks for commenting. Keep visiting! 🙂 Welcome to our blog! Thanks a lot Laura 🙂 Keep visiting! Gorgeous! Could paint every room of my house in those luscious colors; how exhilarating. I’ve always been a big fan of colors. Very nice! Thanks a lot 🙂 Welcome to our blog ! Thanks Michele 🙂 Just skimmed through some posts on your blog..great work! Wonderful picture. Simple but fantastic! Thanks Fia 🙂 Will visit your blog soon! Welcome to our blog ! Its a wonderful array of colors…. Super like… Do visit anatexstyle for fashion trends, art & design styles. Congrats on your Freshly Pressed appearance. Its a wonderful array of colors…. Super like… Do visit http://anatexstyle.wordpress.com/ for fashion trends, art & design styles. Thanks a lot 🙂 Will surely visit your site soon! Keep visiting ! are those coconut half shells i see (being used as paint holders) . . .. Yes.. cocunut halves have been used to hold paint in this art! Welcome to our blog! Thanks 🙂 Welcome to our blog Ingrid ! Thanks 🙂 Welcome to our blog ! Thanks a bunch:) Welcome to our blog ! We are super excited to put new pictures for you lovely people 🙂 Welcome to our blog! Thanks Frederique 🙂 Keep visiting ! love the colors, great photo. this is so fun and incredible! Thanks a lot Jess! Keep visiting! “When Engineers decide to photoblog…” Love it. Both professions require precise skill and intellect; well done. Kudos to engineering photographers and photographing engineers. p.s. Congrats on making the home page! Spot on! Thanks a lot for visiting and commenting. Keep visiting! Gorgeous colors! It’s so simple and so beautiful 🙂 Nonetheless amazing! Thanks a lot Avalynn 🙂 Keep visiting! Awesome photo! You are not just an engineer, but an artist! Thank you for Sharing! Congrats on being up on the front page! I love the colors and look forward to exploring your blog. Thanks a lot Sean 🙂 Its great to have such amazing people visit and like our blog! We have more amazing pics coming up! Keep visiting! Thanks 🙂 Look forward to seeing you on our blog more often! 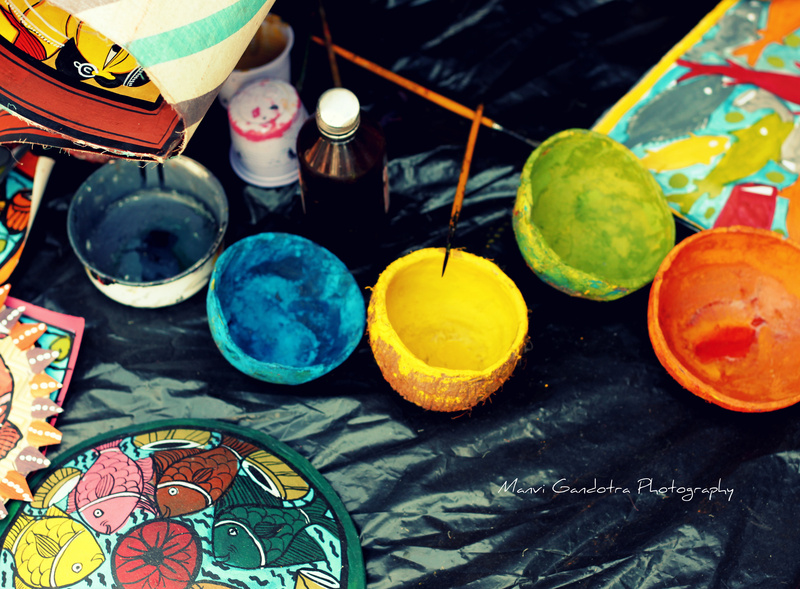 “To Watch Her Unfold” says, Love the coconut paint pots!! Come see some new art on my page! And listen to some Bon Iver! Thanks 🙂 Great blog,,would love to explore your blog soon! you’re welcome, it’s a beautiful photo! very nice site!! Man .. Excellent .. Amazing .. I will bookmark your website and take the feeds additionally?I am glad to seek out so many helpful info right here within the put up, we need work out extra strategies on this regard, thanks for sharing. Thats great Sunil..welcome to our blog 🙂 keep visiting! But the photographer said it’s done! Thanks for visiting 🙂 But this painting was being done by a street artist and not me 🙂 I just captured the moment! Thanks 🙂 I would definitely like to feature on your blog! Will mail you soon! Reblogged this on Intangible Objects. Very intense colors – I like it! I have a few friends who are photography fiends…I’ll have to show them this! A delicious range of colour. Love it! Thanks Adam 🙂 Welcome to our blog! Thanks 🙂 Keep visiting and commenting! Thanks Zak 🙂 Keep vsiting! Thanks a lot 🙂 Do visit our blog for more pictures! Great Picture and nice blog. I have just started my interactive novel: QD3000. Please have a look. Tahnks a lot 🙂 I will definitely go through your novel. Keep visiting! Amazing photo! LOVE the nice bright colours! Thanks for liking our work 🙂 Keep visiting! nice work on the facebook site as well. Makes me feel like summer! 🙂 thanks for visiting n commenting! Thanks LadyT 🙂 Yes these are coconuts 🙂 Welcome to our blog! Thanks to wordpress that we have such amazing people visiting our blog and commenting! Thanks a lot! Love to have you on our blog! Thanks a lot 🙂 Welcome to our photoblog! Keep visiting! I love the colors, and I love how it has an authentic feel to the filtering (did you put color filters?) Oh and is that a coconut that has yellow paint? Hello, j’adore … c’est pétillant de couleur et de vie ! merci beaucoup! Continuez à visiter notre blog! Il est très encourageant de voir vos commentaires! I missed your blog’s tag line, “When Engineers decide to photoblog…”. 🙂 Nice to meet you people, who belongs to the same category as mine. 🙂 Best wishes to you all and your blog. Thats true 🙂 Thanks a lot for that sweet comment! Welcome to our blog! what a brilliant yellow that is! Man, we need more street art. Something to contrast all those corporate towers. Something to keep things in equilibrium. Great photo. Thats true.. With street are becoming a very rare thing these days, we need to ensure that its encouraged in forums like these ! Thanks a lot 🙂 Welcome to our blog! Cool blog and great pictures! Thanks a lot 🙂 Will visit your blog soon! Reblogged this on Pushorpull’s Blog. love to paint but i have no time tell me how i do that …..
Citrusy flows of energy this brings to me on this crisp day of Winter. Wow! Thanks!! welcome to our space! Coconut as paint pot – awesome! I needed the blast of vivid color to contrast this cold & wet day, thank you. Thanks a lot Rena 🙂 Welcome to our blog! Hey , what paint do you use ? Your colors seems to be bright and full of life! Hi Osaru…This was being done by a street artist.. I am not making this.. I just captured this with my camera 🙂 Welcome to our blog and keep visiting! Thanks a lot Stephanie 🙂 Welcome to our blog and keep visiting! Thanks a lot Shil..Welcome to our blog! craziness at first but it all comes together to make something beautiful. Except in this photo the craziness is what’s beautiful! Nice way of putting it.. Thanks 🙂 Keep visiting! Thanks Balu 🙂 Welcome to our blog! Thanks Monica 🙂 Welcome to our blog! This is cool !! 🙂 did you paint ? Such an exquisite amalgamation of colour!